Blake loves being outside with me and he is always volunteering to help. He's pretty handy with the hose wand too. As a parent I'm very happy that he enjoys spending time in the garden. 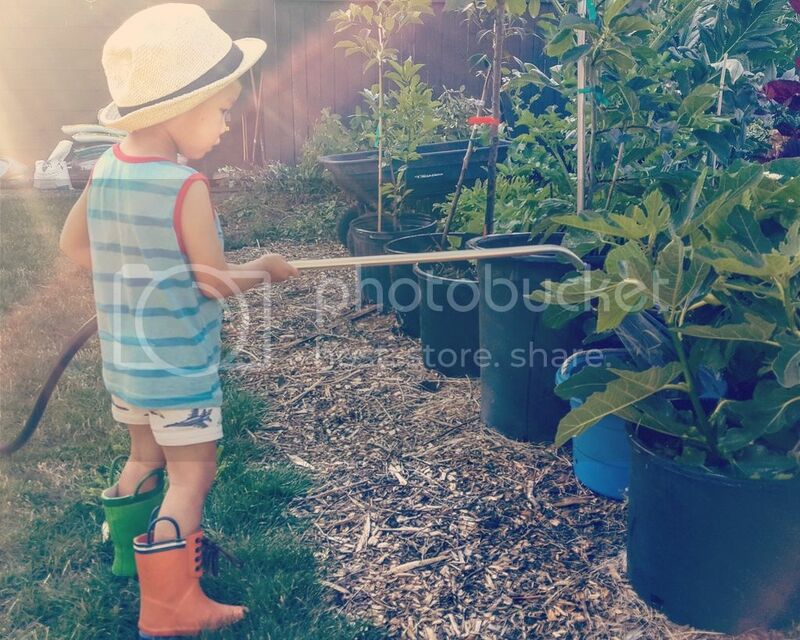 I think it's so important to get kids involved in gardening early. It's so easy to to stick a phone or tablet in their face to keep them out of your hair but it's not the best way to raise a child. Exposing them to the outdoors is one of the best things you can do for your kids. You can guarantee to that they will be spending most of their lives in front of the computer. I've seen what kind of toll a lot of screen time can cause on developing kids. Some seem to grow up with a lot of anxiety in social situations and turn back to the phone or tablet for comfort. That's why whenever possible we try to take Blake outdoors as much as possible. Here we are fishing at Jim's U fish in Spanaway. He was scared of the trout, but loved it!